With more places to visit, more things to see, and more Disney Characters to meet, there has never been a better time to make your dreams come true at Disneyland® Resort. Choose logo at left to learn about special offers and planning your trip to Disneyland or call The Magic’s Yours today to talk with Jeff, your friendly Disney expert. 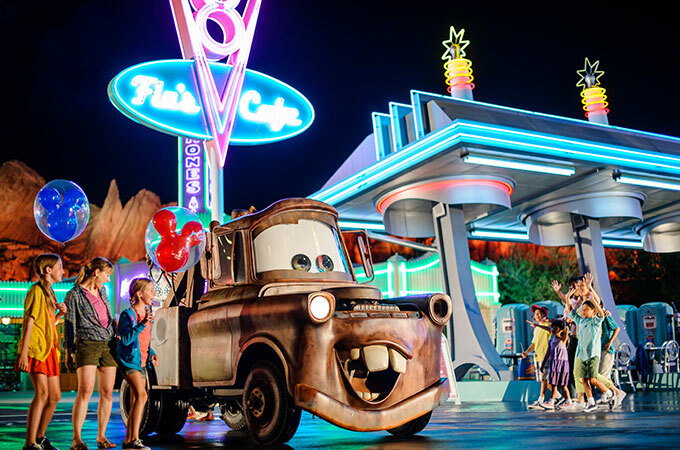 Let us help you plan for enough days to discover two amazing Theme Parks – Disney California Adventure® Park featuring the 12-acre Cars Land and the one-and-only original Disneyland® Park with its world-famous attractions and beloved Disney Characters. Stay at the Hotels of the Disneyland Resort where an incredible vacation becomes an unforgettable storybook escape. First-class amenities offer more relaxed family time for making memories. Plus Downtown Disney® District, an eclectic entertainment, dining and shopping district is just steps from your Hotel. Your family vacation is more magical than ever at the Disneyland Resort! Call us at 717.634.7099 and start your Disneyland Resorts vacation!